While being interrogated under the assumption that he knew something, Slaine remained silent to protect Princess Asseylum, who had saved his life when they first met five years ago. Meanwhile, Inaho, Asseylum, and the others head to the United Forces of Earth Headquarters on the Deucalion, as Count Saazbaum prepares to launch his attack. Having learned Count Saazbaum’s ulterior motives, Slaine sets out to save Asseylum. The fierce battle on the snowy field build in intensity – there, Inaho, Slain, and Asseylum find themselves in an unexpected situation. Contains episodes 7-12 plus a special “Mecha Archives” booklet by Aldnoah.Zero x I-IV (mecha designer) and collectible pin-ups. Special Features: Textless Endings, English Version Trailer. 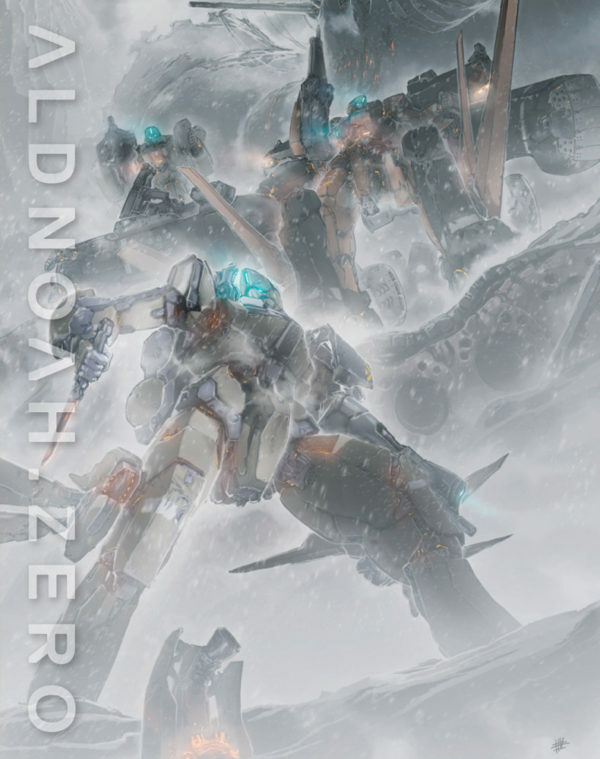 Be the first to review “ALDNOAH.ZERO Set 2 Limited Edition Blu-ray” Click here to cancel reply.